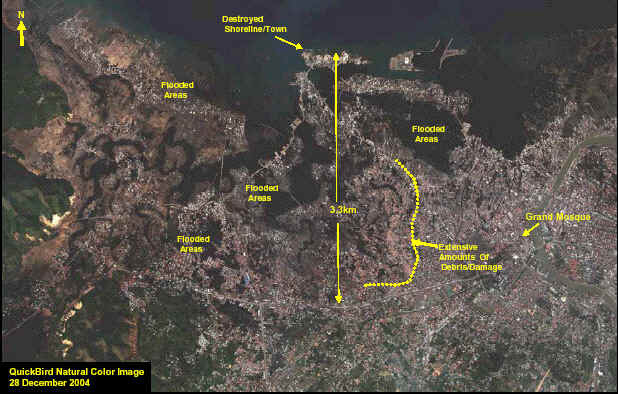 Preliminary locations of larger aftershocks following the megathrust earthquake show that approximately 1200 km of the plate boundary slipped as a result of the earthquake. 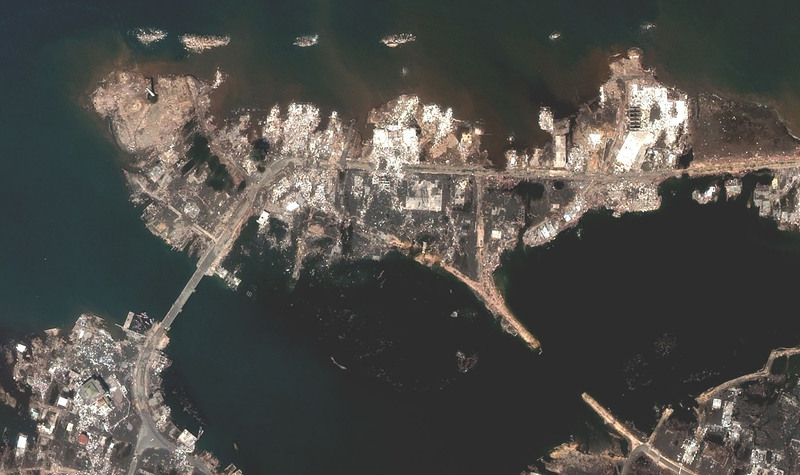 By comparison with other large megathrust earthquakes, the width of the causative fault-rupture was likely over one-hundred km. From the size of the earthquake, it is likely that the average displacement on the fault plane was about fifteen meters. 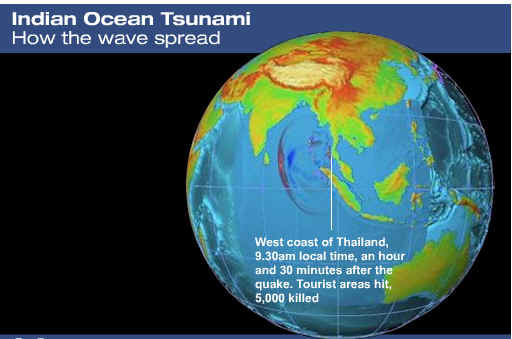 The sea floor overlying the thrust fault would have been uplifted by several meters as a result of the earthquake. 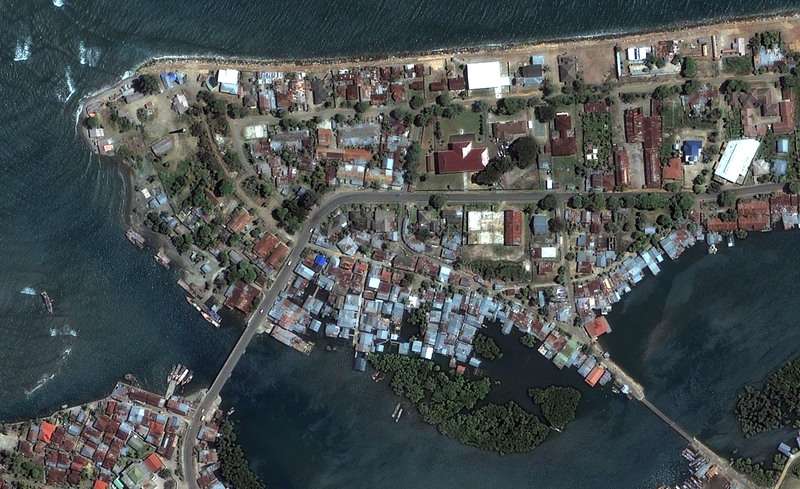 The above estimates of fault-dimensions and displacement will be refined in the near future as the result of detailed analyses of the earthquake waves. The great earthquake (Mw 9.0) of December 26 off Sumatra generated the tsunami in the Indian Ocean . According to U.S.G.S., the aftershocks extended as far as 1,000 km toward north (the red circles indicate aftershocks occurred within 24 hours). 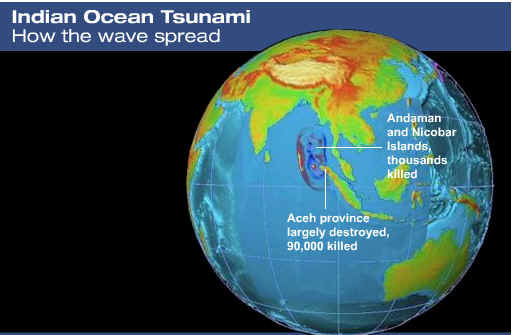 Assuming that the aftershock area represents the tsunami source, the tsunami propagation was computed. 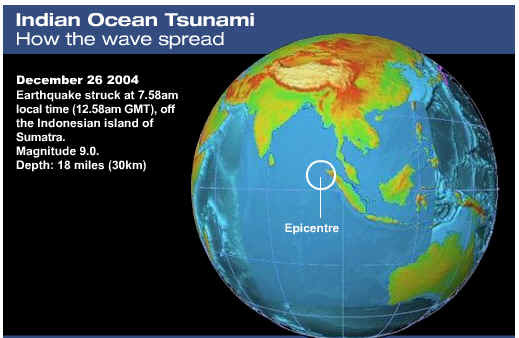 The tsunami propagation is also animated (up to 5 hours) from a 1200 km fault. The red color means that the water surface is higher than normal, while the blue means lower. 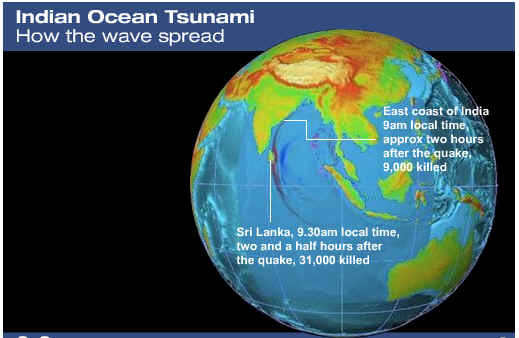 It indicates that initial tsunami to the east (e.g., Phuket) began with receding wave, while to the west (e.g., Sri Lanka ) large wave suddenly reached. The darker the color, the larger the amplitude. 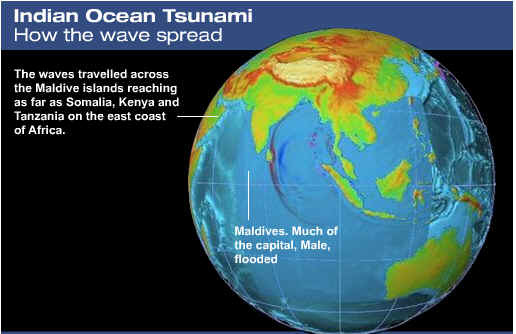 The tsunamis were larger in the east and west directions.